It started out innocently. A message on Twitter. A meeting in Central Park. Lunch at a kosher restaurant on 38th Street. I had never expected to see my brother, Avram, again. When he left the Yeshiva and moved to California, he was considered dead, and my older brother, Shimon, prohibited me from having any contact. Now Avram was married and back in town, living in Long Island with his wife and two children. The first time I saw him in ten years was on a bench near the Great Lawn. He had suggested it as common meeting area, away from our different worlds. I was shocked to see my older brother without his scholarly beard, wearing a shirt that read “LA Dodgers.” It was as if I had never met him. He said that after many years of “hating religion,” as he put it, he was now attending a reform synagogue in Forest Hills. He wanted to reconnect with his family. I frowned, and Avram poked me, saying that he was joking. Avram always had a strange sense of humor. That was a touchy subject. The whole Rifka incident and the sad ending to their courtship. “God will bring the One to me.” I said. Avram was trying to egg me on, but he wasn’t saying anything so controversial that the Rabbis hadn’t questioned themselves. Avram suggested that I spent this Shabbat in Long Island, so I could meet his wife and kids, but I told him it was impossible. During the week, my heart softened. The Torah reading that week spoke of family, of Abraham, Sarah, and Isaac. Was not Avram, despite his wrong path, still my brother? 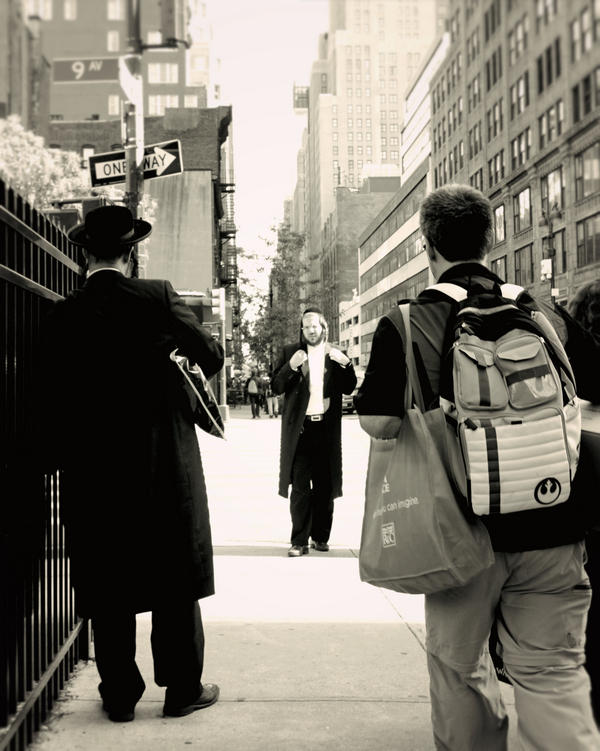 On Friday afternoon, I approached the Yeshiva, and saw Avram waiting for me. He was smiling, confident of my choice to join him for the weekend. A few feet away, with his arms crossed, was my older brother, Shimon, silent and as stiff as Lot’s wife, waiting to argue against it. Come Ye and Sign Up for the 10TH and FINAL Annual Blogger Christmahanukwanzaakah Online Holiday Concert! Love this. And I want to hear the rest of the story. It reminded me of my best friend in college, who hailed from Forest Hills. I have not seen or heard from her since 1963. She taught me about kreplach and knishes; said things like “Jesus was one of our boys.” I really enjoyed her accent, her stories and her grandmother – her bubbelah. This is very good… I really enjoyed it.